Oluwafemi (Femi) Sawyerr conducts economic analysis for projects related to retail electric rate design, transmission planning, asset valuation, and pricing for power purchase agreements. Since joining E3 in 2016, he has developed a model to calculate the potential cost savings of consolidating two cooperative utilities and to project the bill impacts by class to their customers. Femi also built a pro forma financial model to explore the economics of a proposed large-scale wind development in Wyoming. 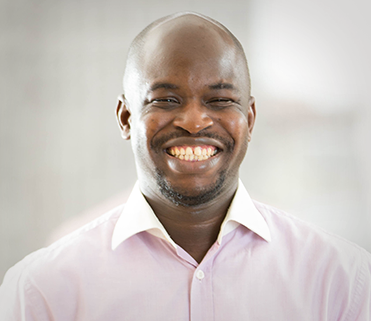 Originally from Nigeria, Femi has a firsthand understanding of renewable energy and sustainable manufacturing in developing countries. He is interested in how challenges at the nexus of sustainability and energy, especially electricity, have local, national, and global consequences. Understanding these impacts is increasingly important as these nations seek to improve their infrastructure in a climate-constrained world. Femi is also a passionate dancer who travels across the country taking classes and dancing with world-renowned professionals. He has performed in salsa and bachata routines in Ann Arbor, Michigan; Cincinnati; San Francisco; and Reno, Nevada—in competitions, in performances, and just for fun.